‘Kaalsiekte’ occurring in Angora kids (also lambs). 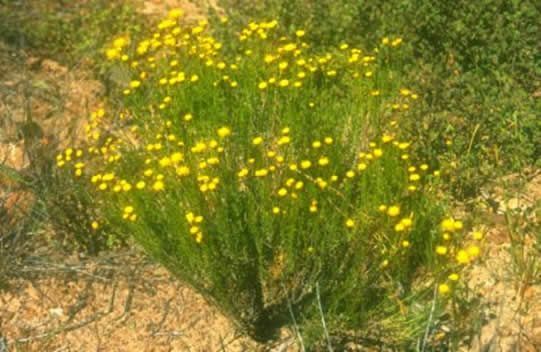 ‘Bitter karoo’ is widely distributed in the Karoo and flourishes on overgrazed veld. The toxic substance is unknown and the goat ewe has to ingest large amounts of ‘bitterbos’ before kidding for the symptoms to be seen. The toxin is transferred to the kid via the milk. When is the poisoning seen? Poisoning usually occurs after winter and spring rains and noticed in the kidding season in kids from about 3-14 days after birth. The first sign seen are that the kids become itchy and scratch and bite at their skin. Loss of hair starts over the shoulders and lateral upper hind legs and then spreads. Only hair remains on the extremities. Secondary complications include sunburn and pneumonia. Diarrhoea is seen and obstruction through swallowed hair is possible. Conjunctivitis and nasal discharge are also seen.